Top 20 accountancy firm Kingston Smith is expanding its commercial law work, the firm’s new head of legal services has said. 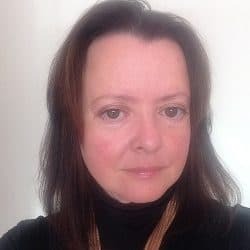 Meanwhile, City firm Bates Wells Braithwaite, which became an alternative business structure (ABS) last year to bring in an accountant to provide non-legal services, is evolving into a firm of business advisers, its managing partner said. 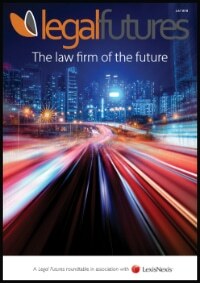 Speaking at the Legal Futures Annual Innovation Conference yesterday, Andrew Bloom – who joined Kingston Smith in September – said the firm was providing commercial law advice “where it sits closely with work we’re already doing for clients”, including on business restructurings and smaller scale mergers and acquisitions. Mr Bloom said the legal team was currently made up of five people, but it was expanding, the firm was “actively recruiting” and demand from clients was exceeding supply. 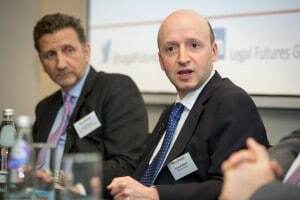 Mr Bloom, formerly a corporate partner in the London office of US firm Steptoe & Johnson, said the firm would not be advising on “big ticket” M&A, litigation or conveyancing. “For many of our clients, which are small and medium-sized businesses, there is great attraction in the holistic approach.” He described the move as “another step in how professional services are changing for the future”. Mr Bloom described how Kingston Smith originally applied to the Solicitors Regulation Authority (SRA) for a license as an ABS, but “had to give up the process” after 18 months of negotiations because the regulator’s procedures for multi-disciplinary practices (MDPs) were not “fit for purpose”. 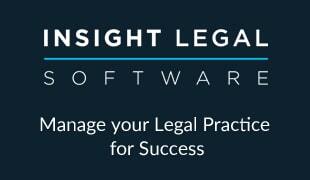 Kingston Smith became the first accountancy firm to obtain an ABS license from the Institute of Chartered Accountants in England and Wales in October 2014, allowing it to conduct reserved probate work only. In September this year it became the first ABS to switch regulators, when it finally obtained a license from the SRA and Mr Bloom became head of legal services. He said the team handling the application at the SRA were a “joy to work with” and the process had gone through very smoothly. As a corporate lawyer, Mr Bloom admitted that he always felt jealous that businesses would go to their accountants first to talk about M&As or commercial work. Meanwhile Martin Bunch, managing partner of charity law specialist Bates Wells Braithwaite, said the new team of non-lawyer advisers set up when the firm became an ABS last year was expanding fast. Led by accountant Jim Clifford, recruited from Baker Tilly, Mr Bunch said the team had expanded from two to 11 in only 16 months. “We’re moving from just being lawyers and accountants to being business advisers, and we see that as being the way forward,” he said. Mr Bunch said he did not see accountants as posing “a threat at all” to his firm, and his experience of working with them was very positive, though there was “obviously a cultural issue” separating the two professions. He said it was quite difficult to integrate Mr Clifford’s team into the firm, because if the nature of its work, but they were now making joint presentations to clients. “When a number of FE colleges were merging, we went to the pitch together and did the work together.